In honor of our conference on digital manufacturing, The Digital Factory, Formlabs is pleased to publish the first episode of our limited-run podcast! In this series, hosted by O’Reilly Media’s Jon Bruner, we’ll explore the future of the factory floor through conversations with experts who are changing the way things are made. 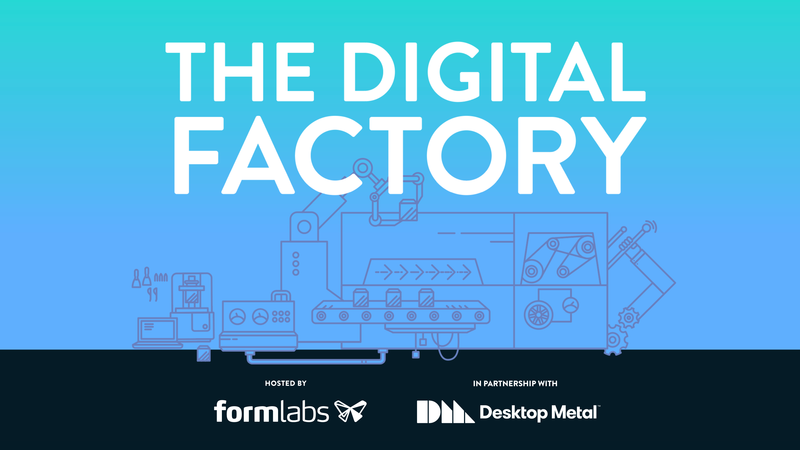 Stay tuned for the next episode of the podcast in a couple weeks, and consider joining Formlabs on June 5 in Cambridge, MA, at The Digital Factory, a one-day conference on digital manufacturing. Hear more from Max Lobovsky and Jon Bruner and intermingle with business pioneers, investors, innovators, startups, and thought leaders reinventing the factory floor.